Did you know that the two paired together can make a match made in organoleptic heaven? Curious? Well, you’re in luck, for this series we’ve teamed up with the artisan and award-winning chocolate-maker Iain Burnett, The Highland Chocolatier to bring you some pairings so tasty that you will never think about eating chocolate without a whisky in-hand ever again! ‘Award-winning artisan chocolatier Iain Burnett trained under Master Chocolatiers of the Belgian, Swiss and French schools, and creates the multiple awarded Velvet Truffle as well as an internationally renowned range of fresh cream truffles and spiced pralines. It took over 3 years to create his unique truffle using only natural and fresh ingredients – the now famous Velvet Truffle. Eddie, our founder, has been eschewing the benefits (!) of whisky and chocolate for years and has been looking for the perfect partner in crime. We think we have now found them! 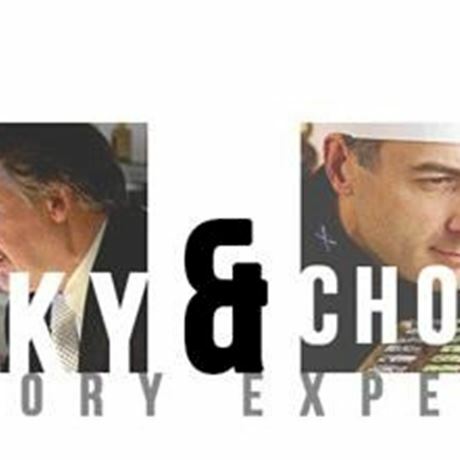 Four whiskies hand-paired with four hand-made chocolates and a whisky expert to take you through it. Happy days.